Gregg’s Blue Mist Flower is a perennial that’s root hardy to 0°. It thrives in partial shade, as long as it gets some sun, loves very low water, and tolerates clay soils. It usually stays one to two feet tall, but spreads easily in width by its roots. In fact, its exuberance may take over a bed in quick time. Consider it more of a “groundcover” than an upright perennial. 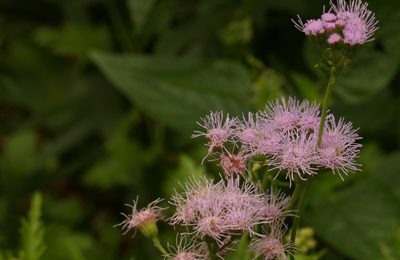 Aside from being trouble free, this native plant is a guaranteed butterfly magnet. It flowers in spring and summer, but it is in fall that it puts on its most magnificent show, attracting Queen butterflies, migrating Monarchs, and many others. It spreads quickly (good or bad, depending on what you want). It’s also easy to divide and move to a new area after the last frost. Just cut out a chunk, digging deep enough to grab the roots. It may brown in winter. In early spring, clip it back to the ground or to green leaves to wrangle its spread and encourage new growth. 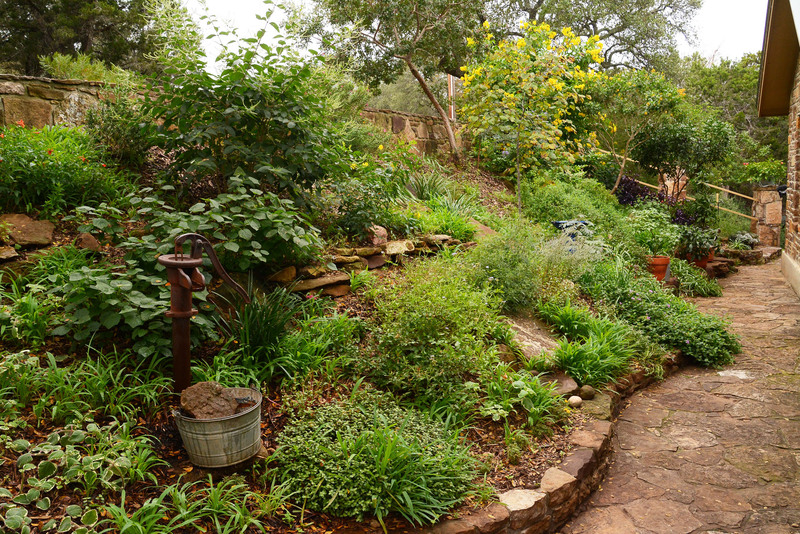 In May, you may want to prune it back a little to control its height and encourage a more lush habit.